Los Olivos combines space and light with comfort and privacy. The buildings have no more than 3 floors and no more than 3 apartments per floor. Communal swimming pools and manicured gardens complete the picture, with easy access to the exceptional facilities in Real de La Quinta. The Los Olivos project showcases the unique Real de La Quinta vision by merging the latest word in design into idyllic natural surroundings to create a beautiful, exclusive, mountainside 12-building enclave of low-level 2 and 3 bedroom apartments with manicured gardens and pool areas. 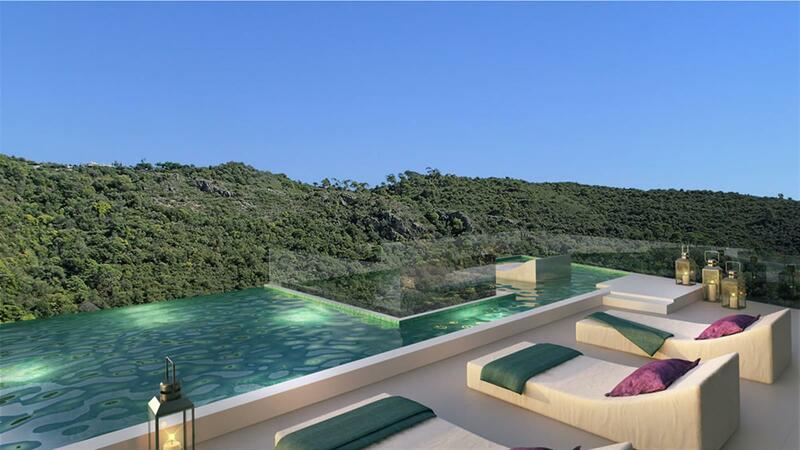 Each apartment is south or southwest facing and offers beautiful views. They make maximum use of light, space and natural beauty, harness the year-round sunshine and engage the senses with carefully considered, innovative design touches and an abundance of bouganvillaea, rosemary and olive trees. Bespoke interior and exterior finishes embrace and reflect traditional materials and designs including Arab tiles, stone and wood. These are set in a modern context where concrete, glass and 21st Century technologies are effortlessly incorporated into both the building design and the landscape. Sustainability is central to everything we do and BREEAM certification is a key goal. 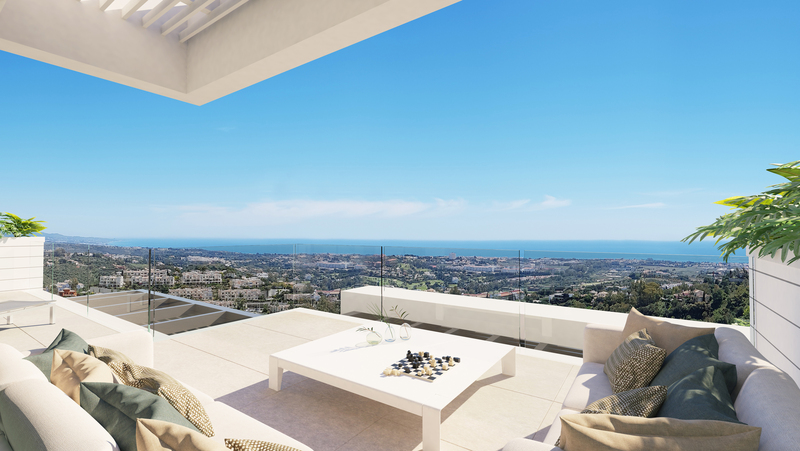 Olivos apartments are sensitively arranged to maximise light, space and access to the wonderful views across the Mediterranean towards Northern Africa. They safeguard your peace and personal space while providing easy access to their own exclusive facilities and those in Real de La Quinta. 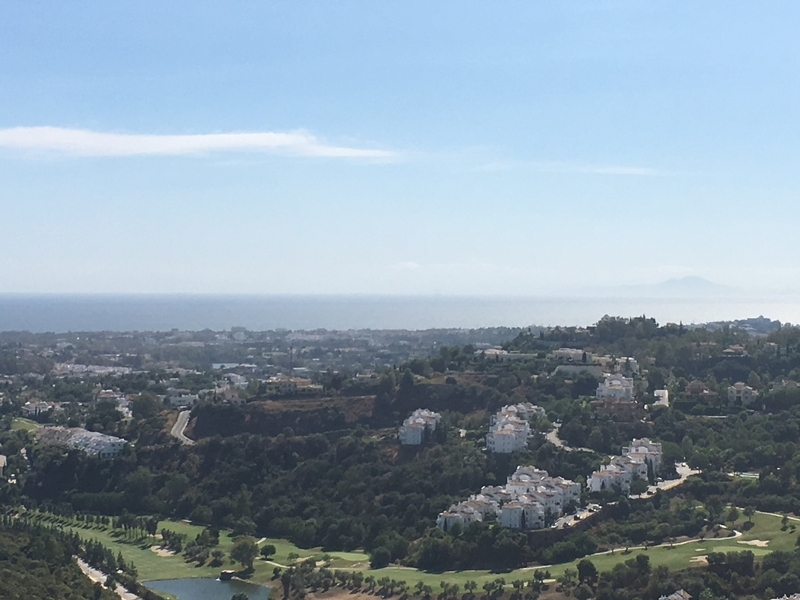 Olivos is located in higher reaches of Real de La Quinta with south or southwest orientation to optimise access to the Mediterranean sun from sunrise to sunset, and to make the most of the wonderful views. There are 90 Olivos apartments in total, in 12 buildings of just 3 storeys, with no more than three apartments per level. Each has 2 or 3 bedrooms, the latter with an extra toilet. Communal gardens include swimming pools for adults and children and a range of areas to enjoy the sun or shade. 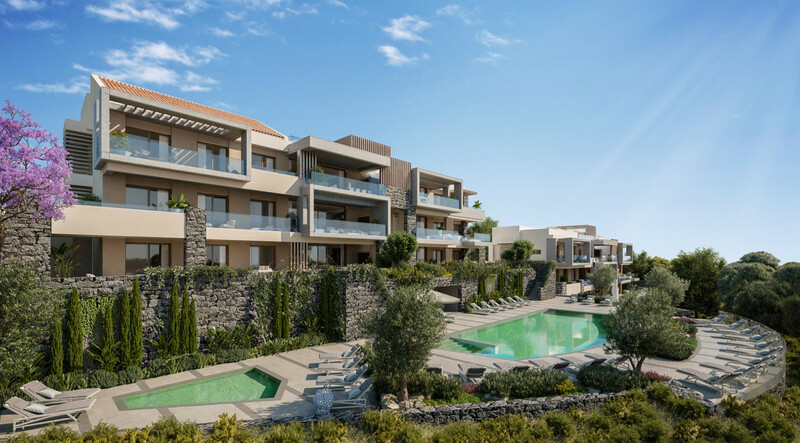 The ground floor apartments have private gardens, giving them the feel of living in a villa. Each apartment has an assigned parking space in the garage and a secure private storeroom. The buildings merge beautifully with the local landscape, topography and spectacular natural setting. Innovative features include glass floor-to-ceiling glass walls and balcony balustrades, home automation including blinds and climate control, carefully considered lighting systems and oversized 2.40m. internal doors to enhance the feeling of space. Whether traditional or modern, every aspect of the Olivos development underlines our commitment to the environment and a high level of BREEAM certification.